I have had a week off. Whew! 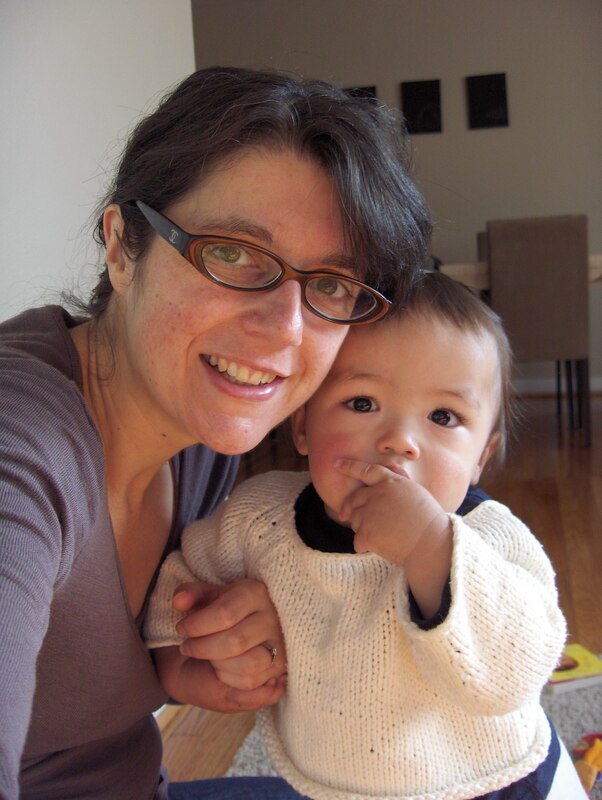 Largely due to Kazuo coming down with his first big nasty cold, so I’ve had a clingy little guy who isn’t sleeping much (breathing badly and teething at the same time – poor blighter!). But we have had some lovely days at home just practising all the new moving about things that came into play as my NaBloPoMo month came to an end. 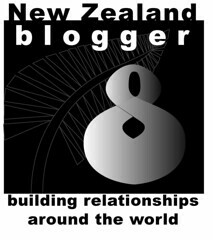 The overkill of that month in blogging terms was enough to engender a need to have a good blogging break too! Here we are at home last Friday just keeping warm and playing with the toys. It has suddenly become intensely cold around here and last night it finally snowed – though only as we were going to bed, and by the time we got up it had all dissipated. I do love a good snow fall, as it is still such a novelty, since I come from a predominantly coast-dwelling country where it snowed where I lived exactly three times in the first 30 years of my life. It snowed here in STL the day Kazuo was born. I stood at the hospital window with him that evening watching the snow drift down magically on the city and promised him many lovely snow days in the future. But… we are heading to Akira’s family in London next week for Christmas and New Year. I am rather dreading the prospect of a trans-Atlantic flight with our little monkey. So the last thing we really need here next week is a big snow fall… the last time we travelled at this time of year (in 2007) our trip was badly disrupted by weather, and I know that kind of delay with Kazuo would be so much more unbearable… so here’s hoping the snow holds off just a while longer! I am furiously writing lists and doing last minute preparations for our trip – making presents, collecting up travel supplies and hoping I have everything on hand to make the trip as streamlined as can be with an 11mth old boy. So I may be absent a bit from here until we are settled. On the bright side, it WILL be marvellous to see friends and to be with family for Kazuo’s first Christmas. We are spending New Year in Leeds with friends who have two little boys and that too will be a delight. 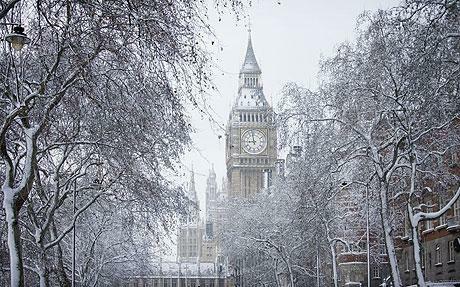 And who knows… maybe there will be a white Christmas in London… now that would be LOVELY!